Being Overweight Can Affect Your Skin Too! Home Beauty & Skin Care Being Overweight Can Affect Your Skin Too! We all are aware that overweight invite various troubles to our health. It is true that we go through a variety of troubles as our metabolism and organs suffer. But, very few are aware that being overweight can also affect your skin and can be the reason behind various skin problems. This means, the people who are overweight or obese, are not only going to have a multiple organ disorder but also would face skin problems. It happens when the fat starts to deposit at different sections of the body. These depositions of fats can cause skin folds, which gradually becomes a responsive place for bacteria and fungus. Later on, these microbes become a reason for various skin troubles. Acanthosis Nigricans: It is a condition when your skin gets brown or black marking. This patch is visible in the armpits, groin and neck area. This is the result of high levels of insulin in your blood. Folliculitis: This is also known as barber’s itch or hot tub. It is a formation of whitehead around the hair follicles. People who are overweight are at a higher risk of it as the extra weight put pressure on the hair follicles which damages and infect them. This could also result to infection. Stretch Marks: These are clearly visible on the skin. They appear as pink, reddish or purplish. This happens as the skin stretches due to the increase in fat in the particular area. Skin Tags: These tags don’t cause irritation but they affect the beauty of the skin. It happens when the skin is rubbed due to friction. This rubbing develops a small skin to grow out. This part of the skin is attached to the body as a thin skin shoots. Although it doesn’t cause any irritation. 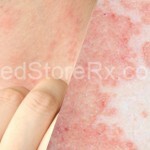 Stasis Dermatitis: This attack the lower part of the body. As you gain weight, your blood veins find it hard to carry the blood. 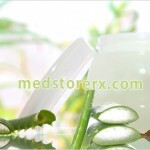 Due to this, the skin inflammation takes place. This could be taken as the warning sign as your weight is now even hurting the veins. Erythrasma: This is caused by the bacteria Corynebacterium minutissimum and appears in the skin folds. Due to this bacterial infection, your skin develops brown and pink dry patches. Tinea Cruris: It is caused by the fungus which grows in the wet and moist regions and is also known as ‘jock itch’. This microbe is easily found in an overweight person as they suffer from skin folds. They also it multiplies, easily. Varicose Veins: It happens when the veins are swollen and can be seen raised above the skin. It normally happens inside of the legs and at the back of the calves. It results because the valves are weak due to excessive weight and then blood flows down into the veins forming the pool. This could lead to serious complication is not treated on time. Cellulitis: An overweight person finds it difficult to wash between the folds. This could result to this bacterial infection. This infection could cause pain and other problems like chilling, muscle ache and sweating in those areas. By now we all realized that being overweight can not only result in organ or internal problems but can also have effects on our body skin. So, this makes it important for us to take the necessary precaution so that we can stop such problems way before time. The most effective solution to this could be the controlled weight. So, if you are looking for reasons to lose weight then now you can include these reasons in that list.